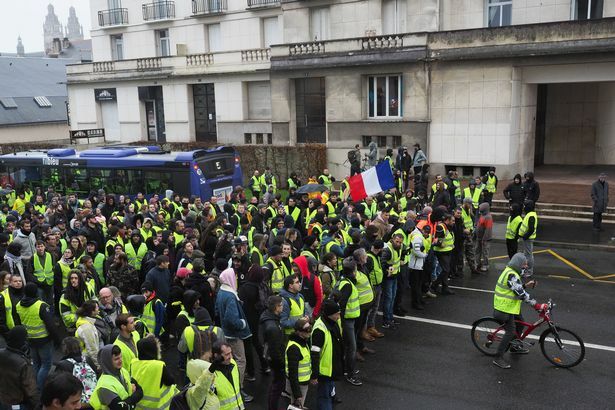 Yellow vests now in England! More ‘yellow vest’ protests are being planned in Somerset with members of the public being urged to demonstrate against being ‘treated like scum’. One protest is already planned which could cause disruption in Bridgwater on Sunday (December 30) while fresh calls have been made on social media for the public to support another protest in Taunton in the New Year. 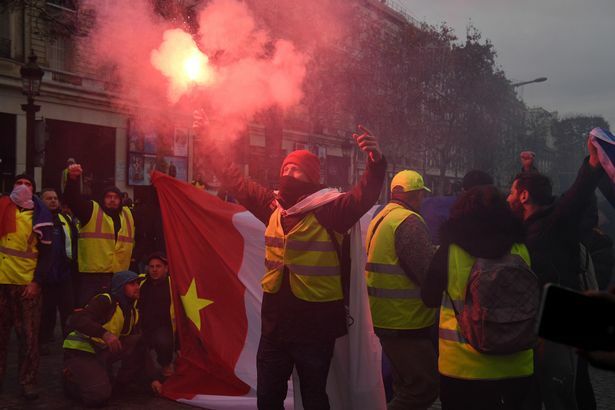 A ‘yellow vest’ movement in France protesting against the high cost of living and Government tax reforms have led to violent demonstrations and more than 1,700 arrests. And now frustration appears to be growing in Somerset as people looks set to protest against a councillor pay rise in Bridgwater and now against ‘globalisation’ in Taunton. The demonstration in Taunton is described as a ‘peaceful protest’ and will reportedly take place on January 5. The exact location has not yet been identified. An event has been set up on Facebook in a bid to garner support for a ‘yellow vest’ protest in Taunton as residents are being called on to fight back against ‘cuts to funding’. The event page states: “This is about the globalisation that needs to be stopped and how we get treated like scum because 1 per cent of rich people are greedy and want to be in complete control. “We, and Britain, deserve better. “It is also to do with the cuts in funding to different services. “We are proud to be British but not proud of the way our country is run by these money and power hungry idiots. “Come along and support Britain and Britain’s people for a better country and better times. We need a revolution and change, here and all throughout Europe. The movement is gathering speed, with over 50 people interested in attending the event. That number could rise depending on the success of the protest in Bridgwater. Protesters in Bridgwater plan to block the roads and cause major disruption as they demonstrate against councillor greed when they meet at Bridgwater Docks on Sunday morning. The protest was triggered after members of Sedgemoor District Council’s executive waved through their own 32 per cent pay rise while simultaneously presiding over £150,000 in staff cuts, and then news emerged that council tax will be increasing once again in 2019. Jason Dowle, organiser of the Bridgwater protest, who is in the process of closing down a local automotive tool business due to rising costs, claims the only service he and his wife receive from the authority is refuse collection, despite handing over thousands in tax every year. She claimed the pay increase is to bring executive members’ allowance up to £5.40 an hour and reflects increasing working hours of councillors. It is thought the executive members already receive full time wages from other forms of employment. She said: “The total cost of allowances for the executive in this financial year 2018/2019 is £ £85,082 for the nine members. It is an allowance in place of a ‘wage’, not expenses. “The plan for the next municipal year 2019/2020 is to reduce the executive by two members, should the current administration be returned. With the planned increased in allowance for executive members, the total cost of the seven executive allowance for their time, home office facilities etc will be £84,508. This will be £574 less than the current amount of allowances. She added: “Sedgemoor District Council is not cutting budgets or services. “Sedgemoor has increased services in the past year; introducing Somerset Independent Plus as well as taking over responsibility from Somerset County Council of the ‘Supporting People’ scheme. He claims the council is actually turning a profit of millions of pounds a year and is leading the movement for protesters to “come out from behind their computers and let people know that we aren’t going to put up with this anymore”. He said: “We have seen a massive change in the way we live, it is practically impossible now to purchase a house without two incomes, childcare costs are through the roof. “The only way a house can be afforded is by people having two incomes, but I’m not even sure two incomes are actually working for people anymore. “What has really driven me to act is that you’re constantly seeing increases in things like council tax. “The total expenses for the council executive is £357,000 a year, so people need to start thinking, you are already being taxed £357,000 a year just to pay for their expenses. “Not only this, but the top people in the council, from the chief executive down to the group managers, are taking in more than £800,000, so those two figures alone are over £1,000,000 a year. “Also, if we take a look at the money they raise a year from council housing rents. They are spending £13.5 million, but they are generating over £18.5 million, so they have a budget surplus there of more than £4 million a year.